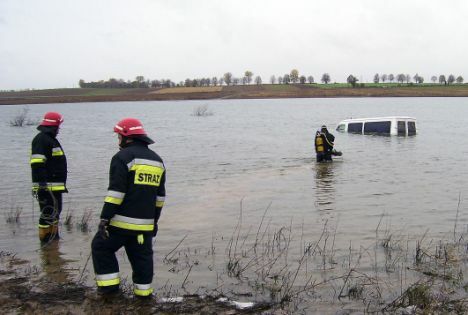 A Polish white van man who was too sure of his sat-nav ended up neck-deep in a lake after ignoring road signs warning of a dead-end ahead, Polish police said today. The road hasn’t been used for a year after it was flooded out when an artificial lake was created. It was dark and the un-named driver had been drinking, but he still managed to miss three signs warning him there was a lake ahead. How do you pin a badge on a tortoise? It’s been a strange week for tracking tech. In an unlikely turn of events, police arrested a suspected marijuana-grower after a box tortoise with a GPS tracker attached to its shell accidentally strayed slowly into a secret cannabis patch. 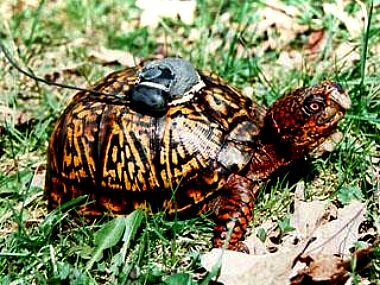 The tortoise was being tracked for “research purposes” in a park in Washington DC, local news reported… A ranger in charge of the reptile made the discovery when he retrieved it from a remote area of the park. US Park Police set up surveillance and later arrested a 19-year-old teenager on suspicion of growing the plants. October 10, 2008 Posted by oldstersview | animals	| GPS, marijuana, tortoise | Comments Off on How do you pin a badge on a tortoise? While you might normally spot D.C. area residents running, biking, or hiking through Rock Creek Park, it’s rare to find someone using the park to grow marijuana. U.S. Park Police say thanks to a box turtle, that’s exactly what they discovered earlier this month. Authorities say a Maryland teenager is facing charges after allegedly turning a Rock Creek Park field into a marijuana farm, which was discovered by a National Park Services employee who was conducting research. On July 14, authorities say the employee was tracking a box turtle that was outfitted with a GPS device for research purposes when the discovery was made. The turtle was found in a remote area of the park south of the Maryland line, where they found approximately 10 marijuana plants growing. Park police staked out the area, saw the suspect tending the plants, got a warrant and nabbed him. I want one. Think of the looks on the neighbors’ faces! 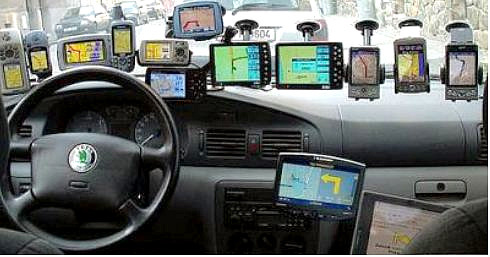 James Milsom has been caught stealing a sattelite navigation from a police bait car. No biggie, you say? Well, it was the third time and happened just six weeks after he was released from prison for committing the same crime. He is getting more proficient, even if he isn’t getting smarter, and this time it took just six seconds. Mitsuhisa Kobayashi, an unemployed 30-year-old in the small town of Itami northeast of Osaka, Japan, has been caught in an ingenious plot to steal cars. 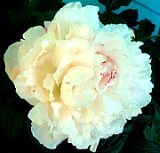 Kobayashi worked with his two ex-wives. The women would rent a car, bringing it to Mr. Kobayashi. He had been a worker at an auto plant, and was able to attach a GPS device to a car where it would operate even while the car was turned off. A wife would return the car, and then Kobayashi would track it when someone else rented it. When he saw his chance — the car parked in a lot, say, with the current customer elsewhere — Kobayashi would use a key copy he’d made and steal the car. Unfortunately it didn’t last: both of his ex-wives’ identification cards, used when renting the cars, were outdated and reflected a still-married status, as well as Kobayashi’s home address. When the ruse was discovered, finding the culprit was easy. A Norfolk taxi driver ended up stranded after he followed his sat-nav system’s directions – into a river. The mini-bus driver was on his way to collect a fare in Castle Acre, near King’s Lynn, when he took a wrong turn into the River Nar. Fortunately he had no passengers aboard – but he did have the embarrassment of having to ring his bosses for help, reports Lynn News. Pat Bowles added: “Normal people would stop and back out but because his sat-nav told him to keep going that’s what he did. Look! Up in the sky! It’s a bird! It’s a plane! It’s…a priest?? A priest who took off with hundreds of helium-filled party balloons has gone missing off Brazil…Rev Adelir Antonio de Carli took off from Paranagua, wearing a helmet, thermal suit and a parachute. He was reported missing eight hours later. Denise Gallas, treasurer of Sao Cristovao parish, said he priest soared to an altitude of 20,000 feet then descended to about 8,200 feet for his planned flight to the city of Dourados, 465 miles north west of his parish. But winds pushed him in another direction, and the priest was about 30 miles off the coast when he last contacted Paranagua’s port authority, she said. He had a GPS device, a satellite phone, a buoyant chair and is an experienced skydiver. “We are absolutely confident he will be found alive and well, floating somewhere in the ocean,” she said. The search is concentrated off the coast of Santa Catarina. April 22, 2008 Posted by oldstersview | People	| Argentina, balloons, GPS, priest, Santa Catarina | Comments Off on Look! Up in the sky! It’s a bird! It’s a plane! It’s…a priest? ?